Russ is the Main point of contact for the budget and the approval of new projects. He is stationed in Boulder, Colorado (Mountain Time Zone). Brian Vasel is the Director of Observatory Operations in the NOAA Earth System Research Laboratory’s Global Monitoring Division (GMD). 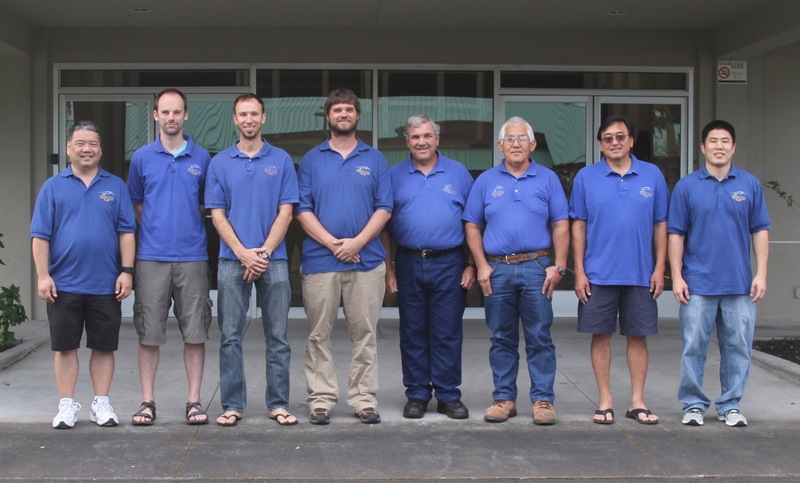 The observatory management team oversees the operations, facility management, staffing, vehicles, and logistics for NOAA’s four Atmospheric Baseline Observatories (ABOs). For GMD, Brian also assists with NEPA, safety, congressional affairs, serves as the ESRL Radiation Safety Officer (RSO), and helps to coordinate the Global Monitoring Annual Conference (GMAC) each May. He is currently on the Interagency Arctic Research Policy Committee (IARPC) Inter-Agency Working Group, South Pole User Committee (SPUC), and the OAR NEPA Compliance Team. He was previously a member of the NOAA Green Team, Deep Water Horizon Team, Summit Long-Range Planning Team, and the NOAA Polar Committee. He was also a participant and coach in the OAR Leadership Effectiveness and Advancement Program (LEAP). Brian strongly believes in the importance of observations, supporting field science, “greening” the observatories, and the role of outreach to inform society. Brian has made 9 trips to Antarctica including “wintering-over” twice at the South Pole as the technician to maintain GMD’s long-term climate research. He has deployed to Summit, Greenland numerous times and visited other international field sites in Canada, Russia, South Africa, and Switzerland. He also created the GMD tropospheric aircraft ozone program by working with an instrument manufacturer to develop a specialized and robust instrument that was then deployed on over a dozen small aircraft across the United States. Outside of the office, Brian is a volunteer firefighter and enjoys the mountain playground of Colorado. He can often be found on local mountain bike trails, camping, hiking, and skiing the trees. Darryl has been working at MLO since 1982, and now holds the honor of having the longest years of continuous service stationed at a GMD observatory. Darryl currently manages the Mauna Loa Observatory operations as Station Chief. Other duties include assisting IT manager with maintenance of the computers and network. Darryl started out as a student under the Junior Fellowship program. He would work at MLO between semesters plotiing data points, filling potholes in the road, and helping out with the observations. After graduating from University of Hawaii at Manoa, Darryl worked full time running the ozone instruments at MLO and writing programs for various projects. In the 1990’s His dutes changed and became responsible for setting up the network and maintaining the computers in the Hilo office and mountain site. He created and managed MLO’s first website and installed the first webcameras. Darryl has been active with being an adult leader in the local Boy Scouts program. He is also a NOVA Counselor and Mentor in the Boy scouts STEM program. Education: Darryl graduated from the University of Hawaii at Manoa with a Bachelor of Science Degree in Electrical Engineering in 1987. Awards: In 2003 he received NOAA administrative Award for installing and setting up the original network infrastructure used at the observatory and Hilo office. Paul maintains and calibrates several programs at MLO, including the ESRL Solar Radiation program, University of Denver FTIR program, and NIWA Spectral U.V, GMD MET Program, CSU UVB program, ANSTO Radon and NASA Aeronet program. He is also responsible for managing facility maintainence, and participates in the routine observing schedule at MLO. Paul also serves as the office’s timekeeper and CFC rep.
Colton graduated from Boston College with a degree in Environmental Geosciences in 2004. He has been working at MLO since 2004 and has supervised the operation of a variety of research projects since his arrival. He is currently in charge of overseeing the ESRL projects that focus on the collection of Green House Gases as well as Halocarbons and other ozone depleting gases. Colton collects weekly air samples at MLO and at Cape Kumukahi to enhance the objectives of the global flask sampling network and he is also the outreach manager. MLO’s outreach objectives focus on promoting MLO’s findings through facility tours and engagement in local community educational outreach activities. Preston is responsible for managing the (MLO) computers, data flow, networking and technical support for MLO projects. Preston also maintains, calibrates and repairs the GMD Surface Ozone instrument also called Tropospheric ozone which is currently monitored using ultraviolet absorption photometers and are used to generally monitor background conditions. These records go back since 1973 at MLO and provide information on possible long-term changes in tropospheric ozone near the surface. Preston is a principle webmaster and web developer for MLO. He also restores historical photos for archiving, creates multimedia software programming for the web. Preston also assits in outreach activities. Preston also participates in the observing schedule at MLO. David is responsible for managing the balloon bourne and ground tracking project, such as the ozone and watervapor profiles. He also assists with managing the NWS meteorological data andrainfall programs, theESRL webmet system, and the Dobson system. David also assists in the weekly Kumukahi flask sampling. Previously worked at NOAA/NWS as a Electronics Technician. Awards: NOAA silver medal recipient. Nash is responsible for managing the Mercury programs for ARL. Theses include carbon monoxide, surface ozone and sulfur dioxide analyzers. Nash is also responsible for maintaining the NRL water vapor, stratospheric ozone and chlorine oxide instruments. He is responsible for the canadian Brewer analyzers which measure total ozone. 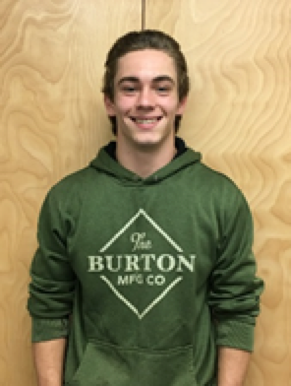 Nash’s skills include machining parts, pump and other mechanical maintenance. He manages the vehicles for the observatory. Education: Nash graduated from Hawaii Community College in 1975 with an AS degree in Machine Technology then served his Apprenticeship at Hilo Iron Works, receiving his Journeyman Machinist rating in 1978. Nash worked at the Sugar Plantations on the Hilo Coast and Puna Sugar Mills then went to work for the United Kingdom Infrared Telescope and the James Clerk Maxwell Telescope on Mauna Kea for 21 years, followed by 3 years as Shop leadman for Aloha Machine and Welding before joining the Mauna Loa observatory. During his spare time, Nash likes to play around with fast cars and motorcycles, manipulate red-hot iron as a Blacksmith, and go out Fishing with his boat. Matt “Marty” Martinsen works as a Professional Research Assistant through CIRES at the Mauna Loa Observatory. He works to maintain, calibrate, and repair GMD and collaborate projects. Additional responsibilities include, Safety Officer, promoting the NOAA mission through outreach and tours, and contributing to facility maintenance and repair. Background: Marty previously worked at the Barrow Observatory as both an Electronics Technician and Station Chief. Awards: In 2012, he received an Administrator's Award for hosting STEM and Climate Change camps in collaboration with Ilisagvik Tribal College. Greg works as a Professional Research Assistant through CIRES at the Mauna Loa Observatory. He is also responsible for the Canadian Elemental and organic Carbon system and the GAPS filter sampling. Greg is responsible for the weekly Lidar observations, and also participates in the routine observing schedule at MLO. Tino assist in various tasks in the office and observatory site. He is currently going to UH Hilo as a double major in Physics and Astronomy. Months at MLO 6 mo.